When the first flowers of spring appear and you start to hear the buzzing of bees through open windows, you know it’s time for putting away heavy blankets to bring out light, fresh textures and colors to revitalize your home. 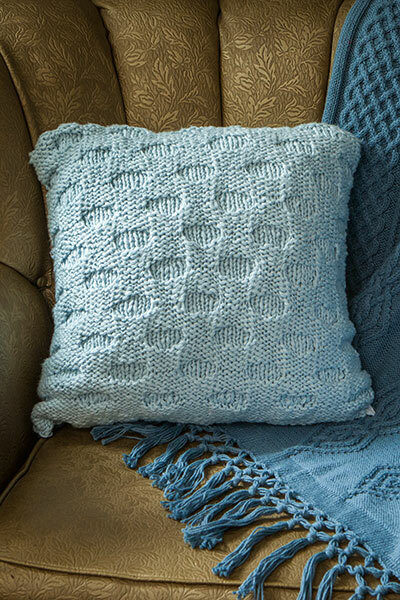 With a soft and light fabric and a deep texture echoing the hexagonal cells in a honeycomb, this pillow is perfect for ushering in the coming of new life. 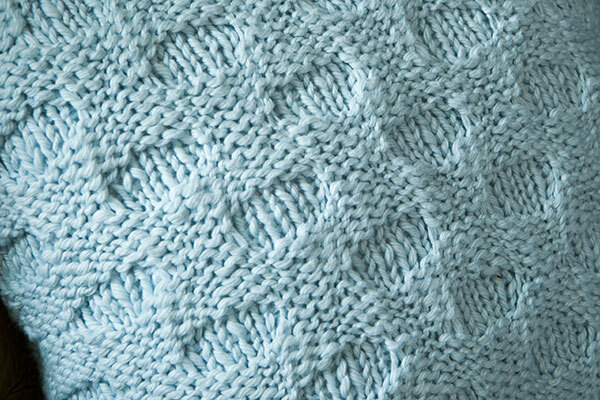 The Wildflower Honey Pillow is cast on provisionally, knit in the round and closed at the bottom with a 3-Needle bind off. 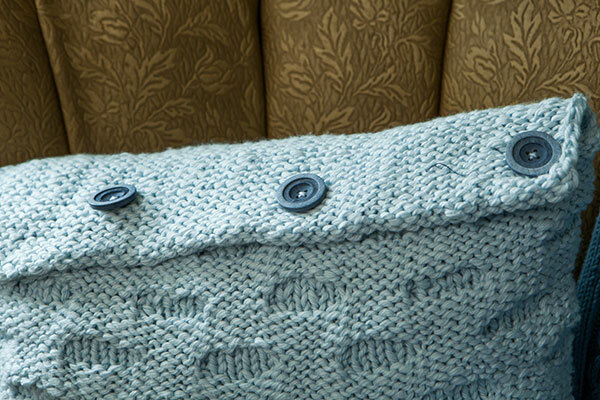 The top is worked into a button band for a 4 button closure for easy washing.